The numbers are increasing by the day, while tourists have been flocking to the Dowhill-Victoria area in Kurseong in large numbers of late. While the hill area has two popular schools, and is known for its scenic beauty, the tourists/visitors that have been arriving in the area for the past several months now have another reason to be there. They say they have heard of Kurseong ghost stories and ‘paranormal activities’ that are reportedly witnessed in this area. The tourists also say that they are “thrilled to be in the area that is considered haunted”. Local people and officials concerned have reported a surge in the number of such visitors who generally come from different places, mainly from the plains. The area is located above Kurseong town and is surrounded by forests, while it has two renowned and historic schools–Dowhill Girls and Victoria Boys schools, with villages nearby. “We don’t know if they actually experienced any paranormal activity here, but the visitors tell us that they were here to witness such activity,” Mr Chettri says. “I personally do not know of any such thing happening here. I also do not feel the area is haunted, but one thing is clear–this area is fast becoming popular among people and tourists as a haunted place, which is very sad,” he added. “Actually, two historic and old educational institutions are located in the area, and some of their structures that are over 100 years old are abandoned presently. The abandoned structures and the jungle nearby may have led to people hearing sounds in the isolated area. The sounds could be that of anything like birds, or other wild animals, or the blowing wind or breeze,” another local says. “Some of my friends had visited the area earlier and had told me stories of how the place was haunted. Even Google and other social networking sites or Internet sites have listed the place as one of the most haunted places and have different stories to tell. As such, we came here to see if we could actually experience all this,” one of the NBU students said. Asked if they believe in supernatural powers, another student replied that they do not “wildly believe” in them, but that the Internet talks a lot about the place, and that they should verify things before believing in the stories. “How can we not believe or sideline the matter without proper verification? Our friends visited this place earlier and they shared their experiences-but all of them said they felt absolutely nothing that they may call paranormal. Nothing so far, but the scenery and the area is great, naturally,” said another girl student in the group. “But we will now have to see if the photos that we have taken in our mobile phones will vanish, as some of our friends have told us,” she said, with a wide grin. According to her, her friends have told her that the pictures they take in the area go missing ‘mysteriously’ from the phone gallery. P Ganguly, a senior staff of the Victoria Boys’ School, said the school is 140 years old and that he has been working here for the past several decades. “There is no such thing as bhoot (ghost/spirits) or paranormal activities in and around our school. It is true that people, mostly youngsters, visit the area in search of ghosts, and it is unfortunate that the present educated society believes in such things,” he says. According to him, the school authorities discussed the matter among themselves and with the police administration, and that they have now made the school premises out of bounds for visitors. Several signboards that say ‘protected area, no entry’ have now been put up at different points of the school premises. Mr Ganguly further said several years ago, a TV channel had shown the area as one of the ‘most-haunted places.’ “But from the school side or as a staff of the school, I want to appeal to all to not believe in this and not promote such negative and untrue stories of Victoria School,” he says. The headmistress of the Dowhill Girls’ School, Sagarika Dutta, also admitted that they often had visitors enquiring about such supernatural activities. “But the stories are completely baseless. They are just ‘golpo’ (gossip),” she says. According to her, she had on a personal level enquired about all this with elderly persons in the area, but found that everything was untrue. 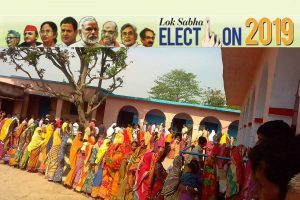 “Earlier too, I worked in this school as assistant teacher, while even my daughter did her schooling here. We have come across nothing of that sort,” she says. 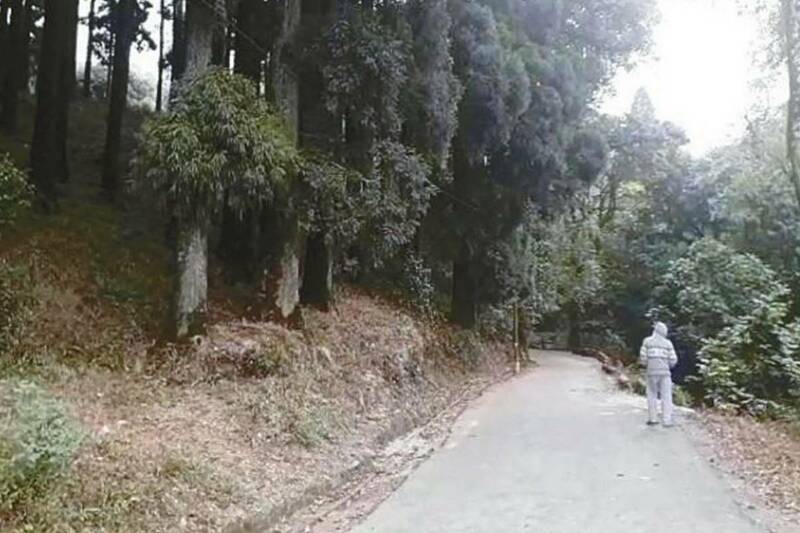 Vice-chairman of the Kurseong Municipality and a local man, Brigen Gurung, said that visitors have often approached the municipality or government officials, seeking permission to spend the night in the area so that they could see if anything happens. “However, we have not allowed anyone to do that,” he said. However, despite this, stories of the area being haunted continue to be told, while former students recall how they too heard of such stories from their seniors or friends, but never actually experienced them. “Ghost stories related to Dowhill are popular even to this day, while we, as boarders there, were also aware of them, but I experienced absolutely nothing during my 10 years years of stay in the school,” a former student, who is now based in Siliguri, says. “It is so very unfortunate that such a beautiful place and such prestigious schools are being labelled as haunted due to the lies that have been spread over the years,” she adds.